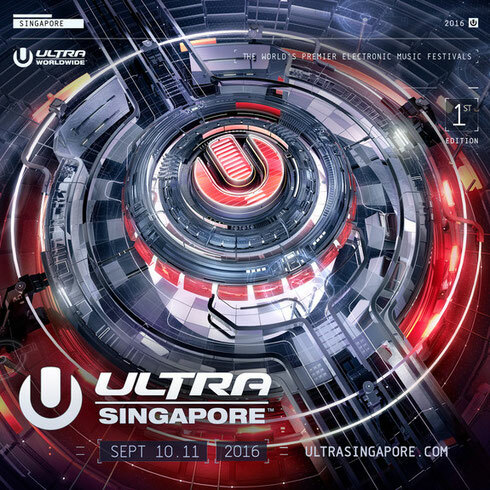 Following the inaugural edition of Road to ULTRA Singapore in September 2015, ULTRA Worldwide recently confirmed the launch of a full-scale, two-day festival for Singapore in 2016. Taking place on 10 & 11 September 2016, ULTRA Singapore will be the next in a long line of festivals that have grown from the Road to ULTRA series, and will see the event transform from a one-stage, indoor experience into an all-encompassing, outdoor, three-stage event. With the venue to be announced very soon, ULTRA Singapore’s Main Stage will be complemented by the diverse sounds of the Live and Resistance stages. Dating back to 1999, ULTRA’s Main Stages have probably played host to some of the most memorable acts in electronic music history. Expanding in size, technology and production with each passing year, ULTRA Singapore’s should be no exception to the rule. The brand new festival location will also become the third country to host an ULTRA Live Stage, following in the footsteps of the flagship event in Miami and most recently, ULTRA Korea. ULTRA Singapore will welcome the Resistance Stage to proceedings, which is set to bring together some of the finest names from the house and techno world to the Lion City for the very first time. The event brought acts such as Skrillex, Alesso and Nicky Romero to RTU Singapore in 2015 and having apparently packed out the Marina Bay Sands Expo & Convention with over 11,000 people, plans were instantly hatched to make Singapore the 11th nation to host a full-scale festival in 2016. This time around, with two days and three stages worth of talent to bring to town, the event is set to welcome even more talent to Singapore.